To carry out an environmental review to evaluate our school’s performance against the nine Eco topics and write an action plan for the year ahead. 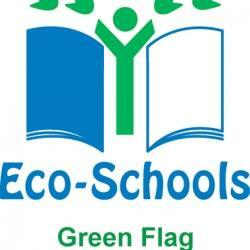 Renew our Platinum Green flag by keeping our school environmentally friendly and a sustainable place. Follow our Eco Code by promoting environmental awareness and understanding to pupils, staff and the wider community. 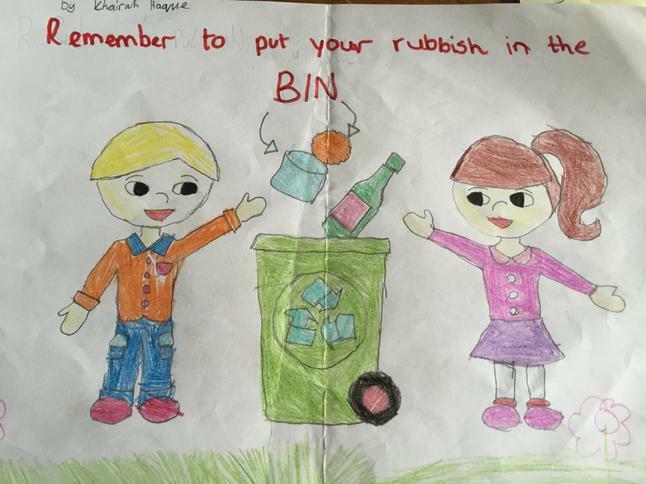 Share our Eco work by organising assemblies, hold an Eco stall during key events such as Fairtrade Fortnight/ Christmas Fair and collaborate together to organise fun school events and competitions. Be reflective learners when monitoring and evaluating the impact of our Eco action. Present our work to our Governing Body on a regular basis. Evaluate our action plan at the end of the year and identify our strengths and areas to improve for the following year. Our Eco Committee teamed up with Cardiff Food Bank for our Harvest week. Families kindly donated cans and packed foodstuffs. Da iawn blant am gasglu bwyd i Fanc Bwyd Caerdydd. 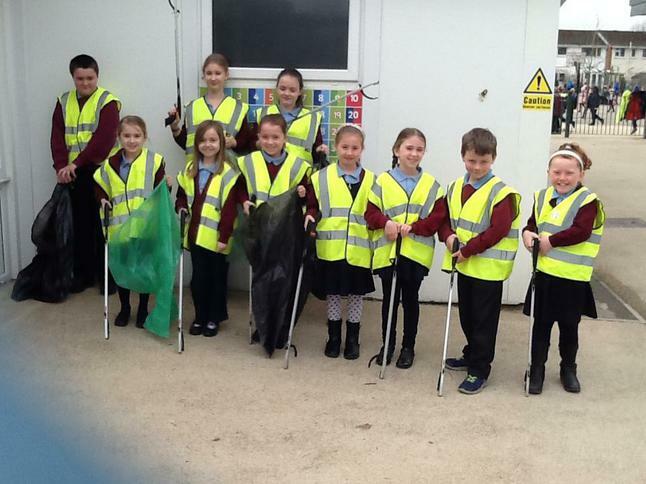 Ardderchog Eco Club ! We have been making sea animals from plastic waste. The animals we chose are in serious danger from the plastic filled sea in which they live. Our Eco Committee and Miss Bodman have been busy sorting lost property to send to Africa. Da iawn! Members of the Eco Committee represented Whitchurch Primary School at the One Planet Workshop in County Hall. Click HERE to view statistics on Whitchurch Primary School’s energy usage. We've been awarded the Platinum Eco-schools award for the second time! Da iawn bawb! 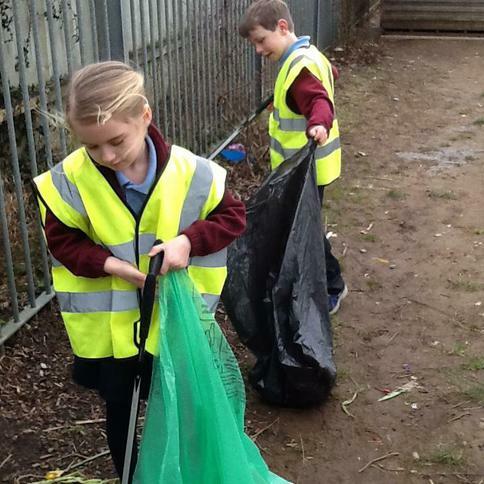 We have been busy trying to tackle the problem of litter in our school grounds and in the community. 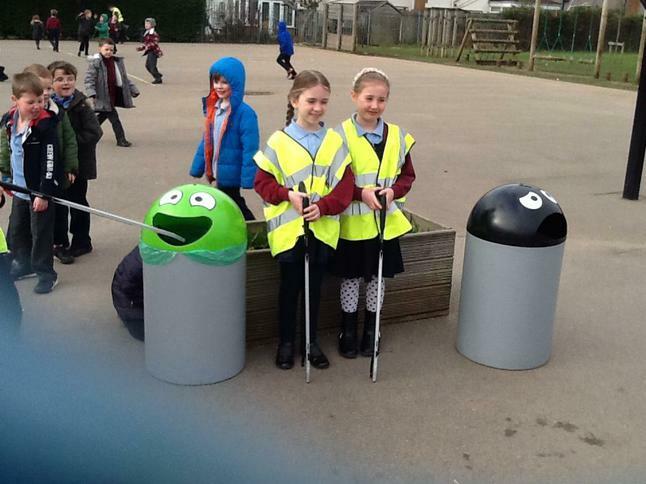 We bought new rubbish bins and recycling bins and we are litter picking. Our food waste is put into our compost bins and the compost is then used in our conservation area.